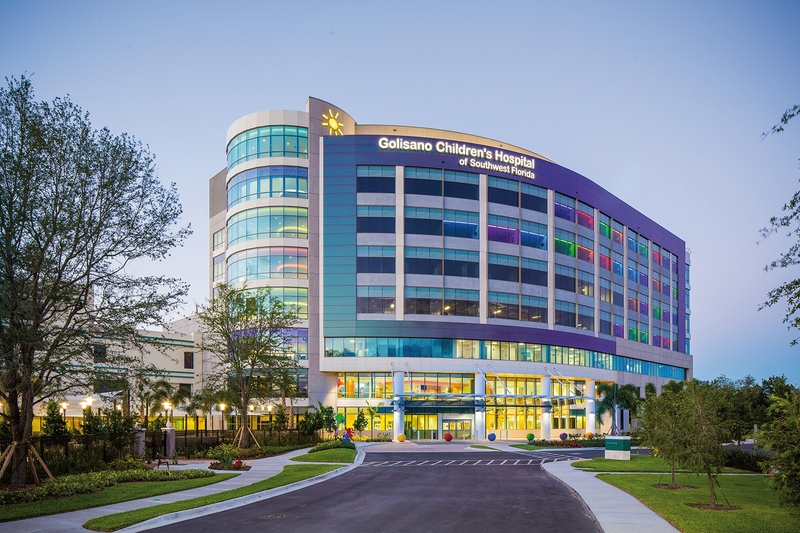 The Lee Memorial Golisano Children’s Hospital of Southwest Florida manifests the vision of the Lee Memorial Health System to expand their pediatric healthcare from a “hospital within a hospital” to a 160-bed, free-leaning children’s hospital. 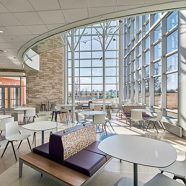 Located on the existing Health Park’s campus, the new consolidated building, designed with partner architects Harvard Jolly Architecture, exemplifies the project’s primary guiding principles of embodying a recognizable and regional brand providing Tier 1 services that are patient-, family- and caregiver-focused. 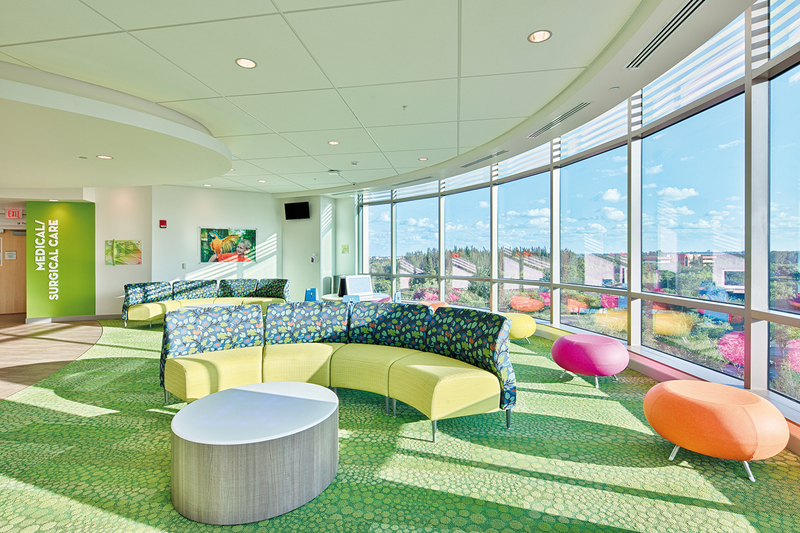 The new children’s hospital is uniquely designed as an integrated part of the existing campus. 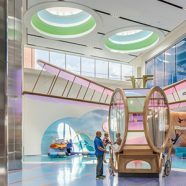 With NICU, PICU, hemoc beds and medical/surgical beds, the project’s other dedicated pediatric components include an emergency department, a hematology-oncology clinic, pharmacy, surgical PACU, and respiratory therapy. With partner New alternatives to the previous master plan were identified early in the design phase to reduce costs. Moving the buildings slightly southwards allowed existing underground utilities to remain in place. 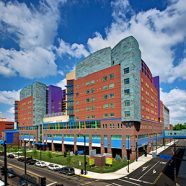 Combining two bed wings into a single tower provided a more compact building form with less envelope surface area and eliminates a bank of elevators avoiding unneeded expense. 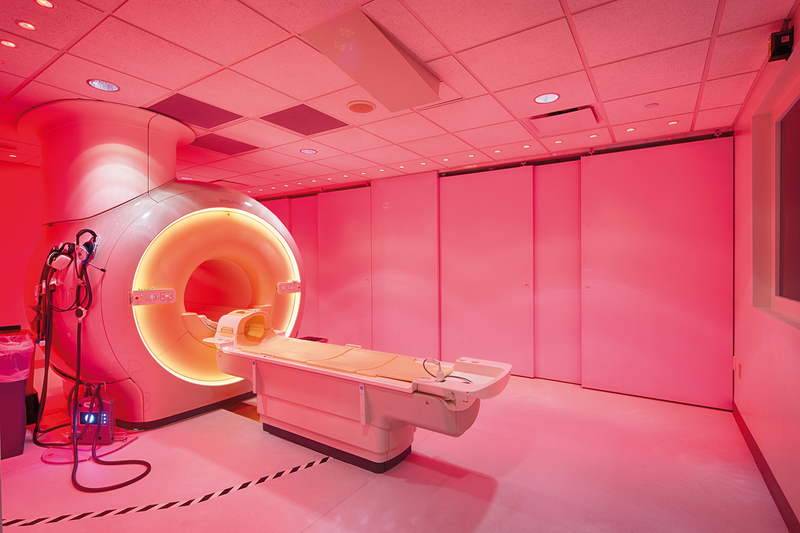 The exterior design of the building employs enclosure systems common to the local construction industry. 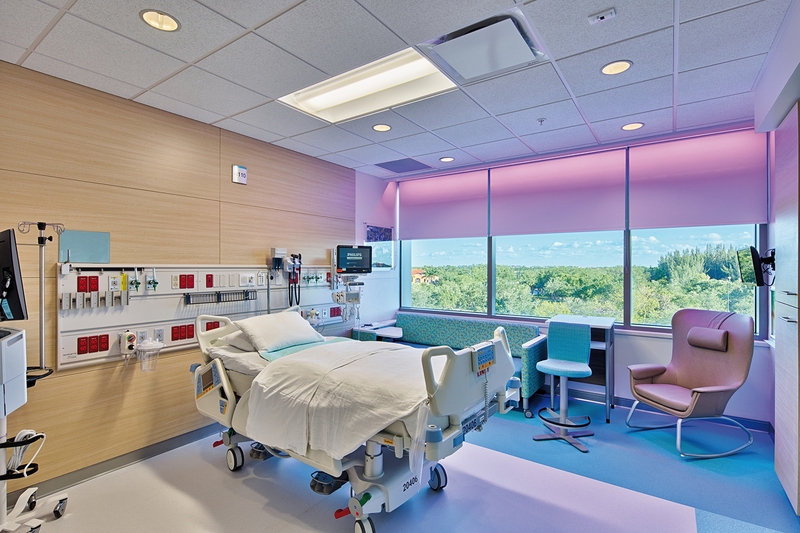 Designers reduced the amount of vision glass and provided selected building accents to optimize investment dollars. The structural frame was optimized by increased spans to eliminate one structural bay across the floor plate reducing the number of columns and foundations. 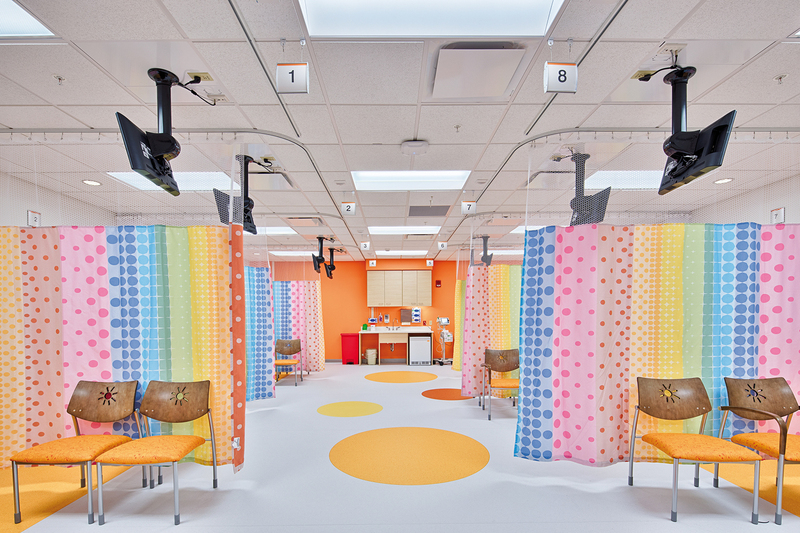 A hospital-wide wayfinding system, built around a bright and colorful palette, directs families through the hospital, helping them identify their location by color-coded floor or area. 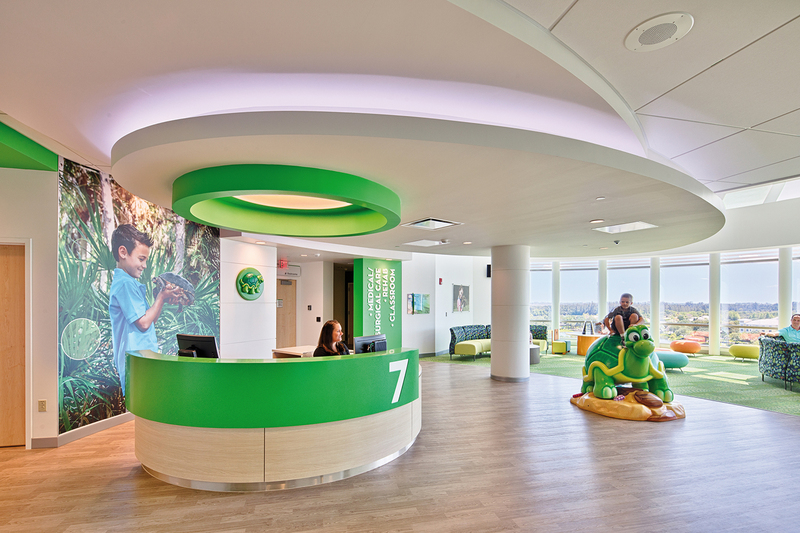 These colors activate the building’s exterior and entrance, too, providing a warm welcome and establishing a visual language to help families during their visit — for navigation, but also as an optimistic distraction. 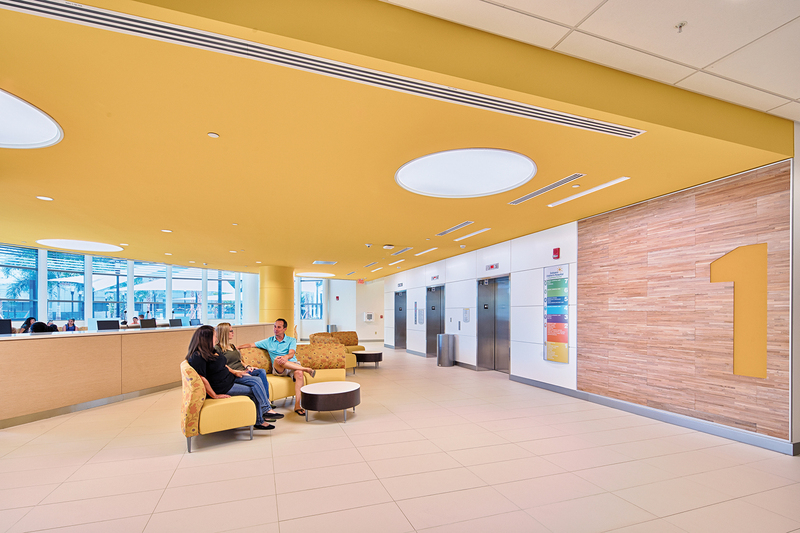 With these bold colors, the hospital stands apart with its own distinct identity and personality.